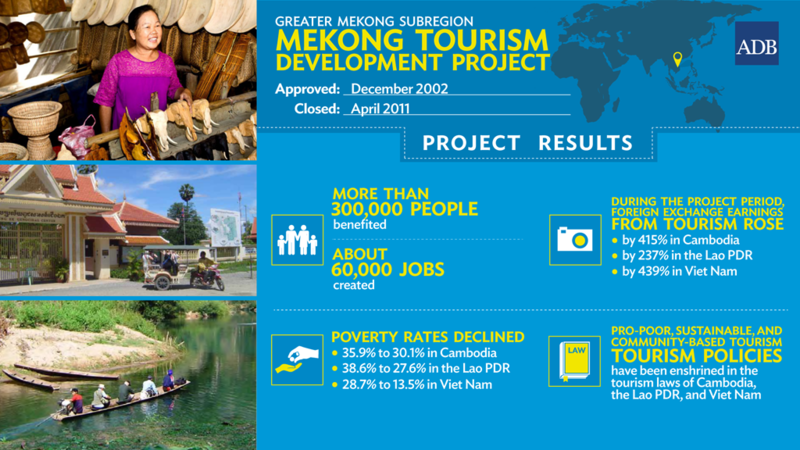 The 2015 Mekong Tourism Forum is an annual event showcasing tourism trends and developments in the subregion. Da Nang, Viet Nam photo by Central Coast Vietnam Destination Marketing Organization. HA NOI, VIET NAM (10 June 2015) – A 5-day forum on developing and promoting sustainable tourism in the Greater Mekong Subregion, the fastest-growing tourist destination in Asia and the Pacific, gets underway in Da Nang, Viet Nam on 15 June, 2015. ADB has helped turn former war-torn Greater Mekong Subregion countries of Cambodia, Lao PDR, and Viet Nam into a booming tourist destination.